3 x 5 Folded Media Cards | Interactive Cards | Soundwave Art™ - Turn your voice or sound into art! 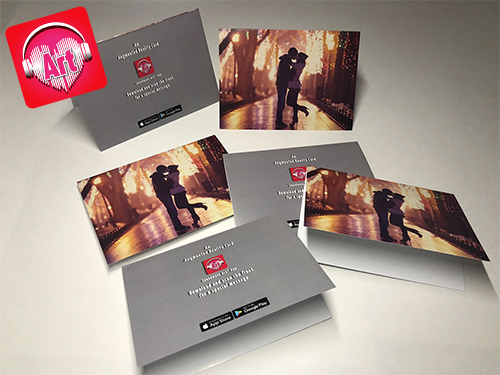 3" x 5" Folded Media Cards - Your image printed on the outside - scannable with our mobile app. Perfect for: Announcements, Holiday, Greeting, weddings. 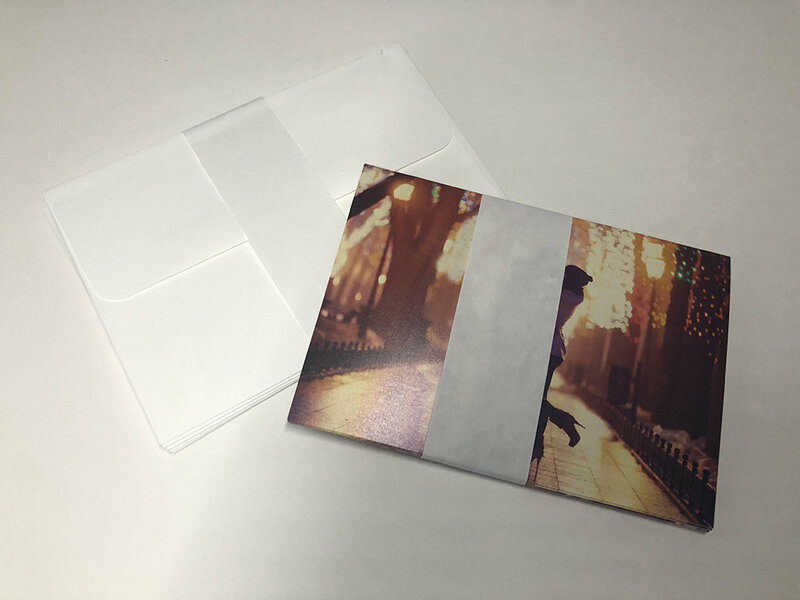 We use only the finest papers for our press-printed cards. Comes with envelopes. With our Soundwave Media™ technology your family and friends will be able to scan your card using our mobile app and watch your card come to life! A unique way to make a baby announcement, gender reveal, party or wedding invitations, even your holiday cards! If you add our app feature your Soundwave Art™ is active with our app and stored for five (5) years at the time of purchase. When it expires you can renew the media package for another five (5) years for the price of $24.99. We use augmented reality to overlay your video on top of the card, merging the digital and physical world. See how it works below.